Our summer co-op students’ work term has come to an end. 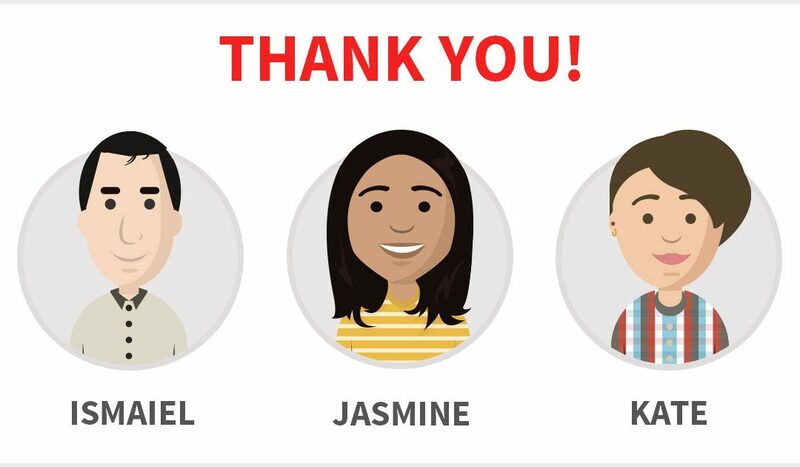 Kate, Jasmine, and Ismaiel have been an amazing addition to the Minute School team. They contributed to our goal of helping students succeed academically, through their input and hard work on several projects. I asked them to reflect on their time at Minute School. Here is what they had to say about their work term with our team. Over the last four months of my co-op term at Minute School, I had the opportunity to learn all about educational technology and the mobile app industry. It was fascinating to get an inside look at everything that goes into running a start-up, from developing content and scripting lessons to planning marketing campaigns and writing blog posts. One element that made the experience particularly outstanding was that the co-op students were treated the same way as any other member of the team and trusted to create content for users according to plans we developed ourselves. It’s exciting to think that our hard work over the past few months will directly help students to succeed in their classes. I have really enjoyed my time here at Minute School this term. It was such as interesting, educational and fulfilling experience. I really learned a lot from playing roles in multiple aspects of the company, whether it be course production, marketing or product design. It was also very rewarding to think that our work was directly impacting other students. Helping people has always been my greatest passion, and it’s been wonderful working for Minute School knowing that what we’re doing is providing countless students with the help they need. Working at Minute School has been an exciting opportunity where I got an intimate experience with the process of learning and education. As a student, you’re normally used to answering questions. In this role, I was instead creating questions, which was definitely a first. I was also able to use my knowledge in creative ways throughout the process of content production. Also, I got to experience and incorporate more innovative approaches to learning. All in all, these experiences helped me become a better student, and it is my hope that my work here will help other students achieve academic success. A big thank you to Kate, Jasmine, and Ismaiel for a wonderful work term! We wish them a very successful school term ahead, and we look forward to reconnecting with them in the future.